It may be autumn (and by the feel of it outside, not far from winter) but here at theEword we’re blooming like a well-fed Azalea in spring. We’ve bolstered our team to reflect the growth of our operation, taking on three new members in a month. We’ll be introducing you to our latest recruits over the coming days, starting today with Mark Baker (pictured right), our new online marketing manager. 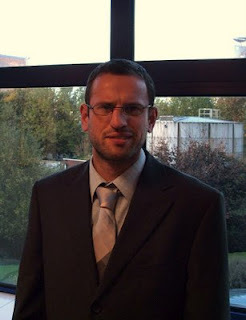 Mark joined theEword earlier this month, taking over the management of our PPC and SEO projects. He brings with him 4 years’ experience in online marketing and ecommerce. Qualified to the hilt (he’s IDM-certified and holds a Google AdWords exam award, among other things), Mark is a great asset to the team. What was the last amazing advert you saw? Which Formula 1 team do you support? What is your favourite genre of popular music? Smoothies – what’s your flavour? From this we can deduce that Mark enjoys the finer smoothies in life, likes indie music and programmes where people hit each other but doesn’t care for Formula 1. Stay tuned for more introductions soon.